The duration of a North Carolina probate administration depends on a variety of factors. Simple estates may be settled in less than a year, while administration of more complex estates may stretch on for several years. 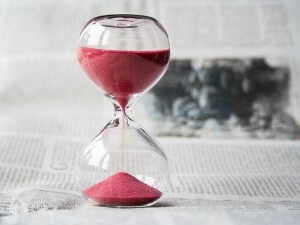 Understanding common causes of probate delays can help executors and other parties involved in the estate administration to prevent unnecessary interruptions. While many aspects of estate administration—such as court schedules and filing deadlines, will contests, and processing of tax returns—have time demands and restrictions beyond one’s control, certain matters may be within the powers of executors to a degree. Managing these factors can help to avoid excessive delays in probate. While North Carolina repealed the state estate tax in 2013, the Form 706 federal estate tax return is required for estates that meet current threshold limits. As Form 706 contains over 30 pages, it often takes a significant amount of time to complete properly. Asset descriptions and valuations, the names, addresses and Social Security numbers of beneficiaries, tax calculations – these are a few matters that must be properly recorded on the form. Another time concern rests on processing and review. The Form 706 must be filed within 9 months of the decedent’s date of death. The Internal Revenue Service (IRS) generally starts processing these forms about 3-4 months following the filing date. On average, the form is reviewed about 3-4 months after processing begins. If the executor made an error on the Form 706, the IRS sends notification of the error within 2-3 months of discovery. In some cases, by the time an executor is notified of an error, close to a year has passed since the form was filed. Since the estate cannot be closed until the Form 706 is accepted by the IRS, this may cause the estate to remain open even if no further matters are pending. Delays also occur when an executor misses deadlines (filing petitions, elections, affidavits, tax forms, etc.). Depending on circumstances, processes may be in place that allow for filing extensions. Valuation of unusual assets can postpone acquisition of necessary tax information. Special care and attention must be made if the decedent bequeathed art, classic cars, antique firearms, artifacts, or other collectibles. (Notably, firearms in probate require a higher level of prudent care.) Collectibles must be appraised by qualified parties and are subject to federal estate tax basis reporting. (The process for basis reporting changed in 2015.) The IRS may implement an art valuation audit, which would impose penalties and delays if errors are uncovered. Factor 1. Prevent executor errors. Retain the legal counsel of a probate or tax attorney. Ensure documents are error-free prior to filing. Factor 2: Prevent missed deadlines. Ensure deadlines are met or follow proper procedures for formally requesting extensions. Factor 3: Prevent tax valuation issues. Retain qualified appraisers to assess unusual assets. Follow the IRS’ specialized appraisal item format for items valued at more than $50,000. Aside from the external factors that lengthen estate administration, many variables described above rest in the hands of the executor. 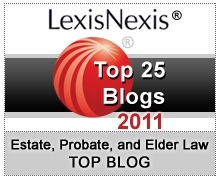 It is not only in the executor’s best interest to retain probate counsel, but it’s also in the estate’s best interest. The guidance of an attorney during probate helps ensure matters are professionally reviewed.